Quebec’s separatist party is expecting a comeback amidst student protest and economic uncertainty. As voters head to the polls to choose their government, the French-speaking province looks on course for another referendum to split from Canada. Tuesday’s provincial election is a three-way fight between the incumbent Liberals, newly-formed coalition Avenir Quebec, and the separatist Party Quebecois (PQ). PQ has been proving most popular at the polls – marching ahead of the others at around 33 per cent. Liberal premier, Jean Charest, head of Quebec’s government for nearly a decade, called for an early election on August 1 due to looming student protests. However, throughout the election campaign he has trailed the separatist Party Quebecois leader Pauline Marois in the polls. PQ’s popularity means the issue of Quebec’s separation from Canada has surfaced again. Quebec has already had two unsuccessful referenda that came close to splitting Quebec from Canada in the past: one in 1980 with 40 per cent support and another in 1995 with almost 50 per cent voting for separation. The separatists leading in the polls claim their short-term priority would be picking the economy up off its knees, instead of pushing for a separation vote straight away. "It's very important for me to manage our finances responsibly. That is without doubt why our engagements are the least costly of all parties," Marois told Canadian media, while outlining a program that sets out new spending of $1 billion over five years. At the same time she stated that she would hold an independence vote "tomorrow morning" if the conditions were right. Further, the party leader clarified that a referendum on Quebec's independence would only be held if there was complete confidence in a win. For now, opinion polls suggest that only less than 40 per cent of the province's population would support a split. 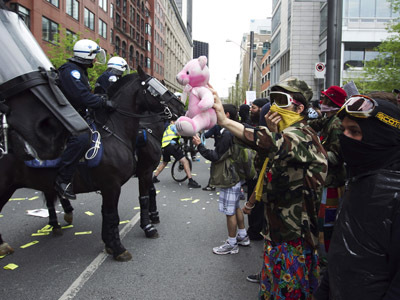 The new buzz over Quebec comes after months of student and union protests raging this spring and summer against tuition hikes in the province and the controversial new Bill 78, which restricts mass gatherings in the province. Tens of thousands of students have made their outrage public by demonstrating and clashing with police, making headlines across the world. Protests began in February, resulting in about 2,500 arrests. Tuesday's vote is seen by many as an echo of this public discontent. 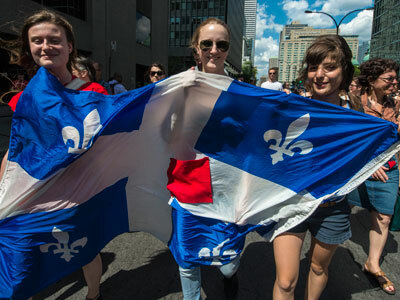 Experts believe that the more the economic uncertainty continues, the louder the calls for Quebec's sovereignty will be. 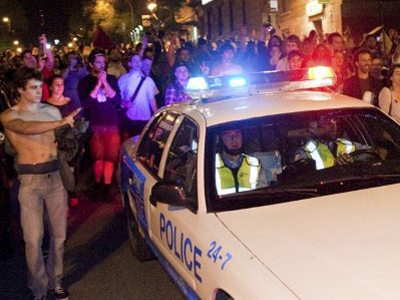 After nine years of Liberals governing Quebec, people have grown wary and reluctant to re-elect them considering the student unrest that evolved into a larger social protest, says Concordia political science Professor Bruce Hicks. "Quebecers tend to tire of the government and throw them out," he says. "It's sort of been the tradition in Quebec politics." 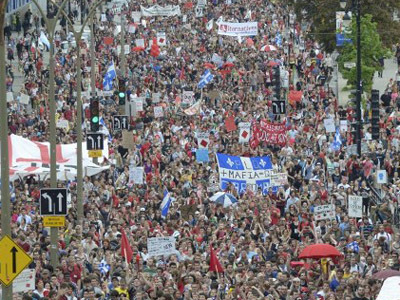 "It's not going to be a referendum or nothing," said Antonia Maioni, a political scientist at McGill University. "The idea is to have smaller wins and move towards an eventual, perhaps, referendum. At least [Pauline Marois] can then go back to her party and say I'm moving to a third referendum." PQ’s referendum agenda consists of two phases. First, Marois plans to ask Ottawa for greater control in areas such as foreign policy and economic development. Any kind of refusal from Ottawa would be met with a legislative fight and any of PQ’s losses would be added to the list of reasons why Quebec should separate. The second phase is setting referendum in motion. PQ has already transferred the responsibility for calling a referendum to the general public. Currently, as soon as 850,000 people sign a petition – 15 per cent of Quebec’s population – the public could demand a referendum. Moreover, Marois plans to establish a new cabinet post that would manage such requests, CBC reported. Canadian reporter Michael Forian says Quebec is growing estranged from the rest of Canada, while half of Canadians no longer care whether Quebec chooses to separate or not. “[The] younger population feels that the Party Quebecois is a step towards a more progressive message in the province,” Forian told RT.